Got around to brewing a Dortmunder Export on Saturday. 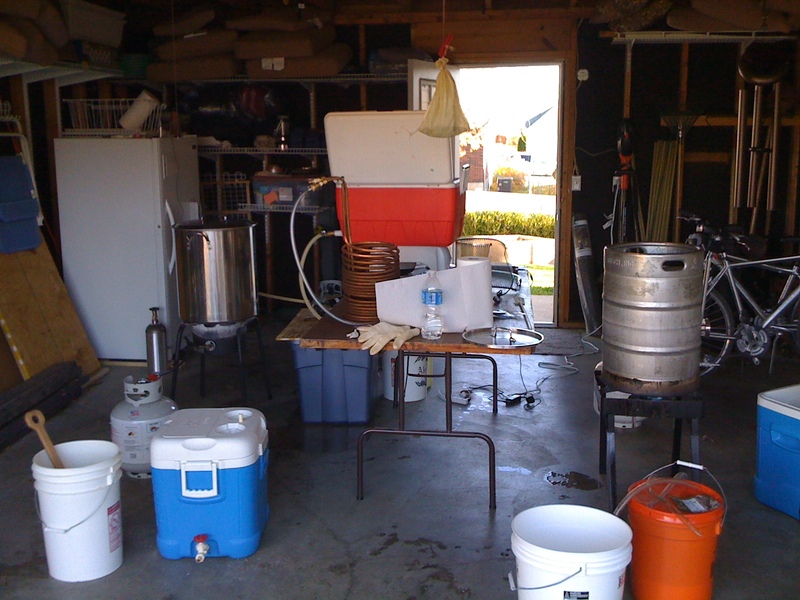 Had a good brewday, and got to use the conical again. I was shooting for the top end of the style, kind of hoping I’d go over (wanted to make a bigger version of the style). I got my wish, hitting 85% efficiency. 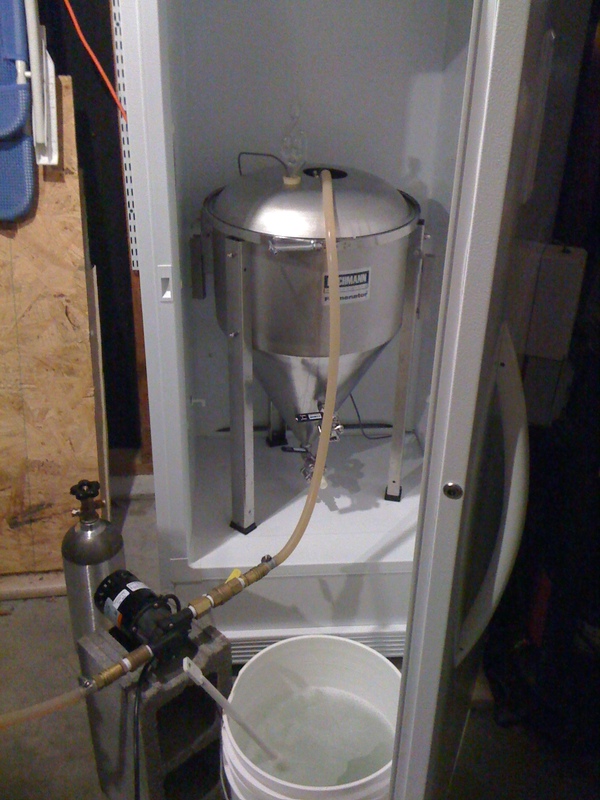 When checking the pre-boil gravity, I noted this, and adjusted the BU:GU ratio accordingly. Having a BU:GU ratio of about .5 in this beer is pretty important, as the style depends on balance. Below are some pics, and the recipe. The recipe is scaled to 85%, to show the actual final gravity and new correct BU:GU ratio. 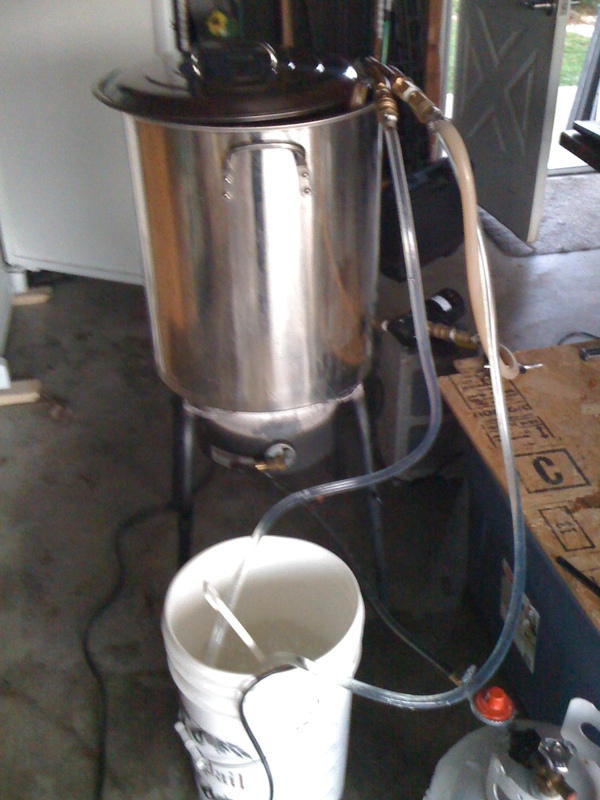 I made a 4.5 liter starter with 2 vials of WLP830 German Lager yeast. I am fermenting it at 51 F.
Note the beer is about 3 points out of style, I’m interested to see how it turns out. ~ by kungfool on December 1, 2009.